Really cute Tokyo Tower mascot characters in front of the entrance. It was around Halloween when I visited Tokyo so the main floor was decorated it with Halloween decorations. The famous " Tokyo Starfish". In Japan, they call this cross skyline the Tower Tokyo simply because it kind of resembles the tower in appearance. It is actually a really pretty view in person watching the cars drive by and the beautiful orange lights. View of Odaiba from the Tokyo Tower! 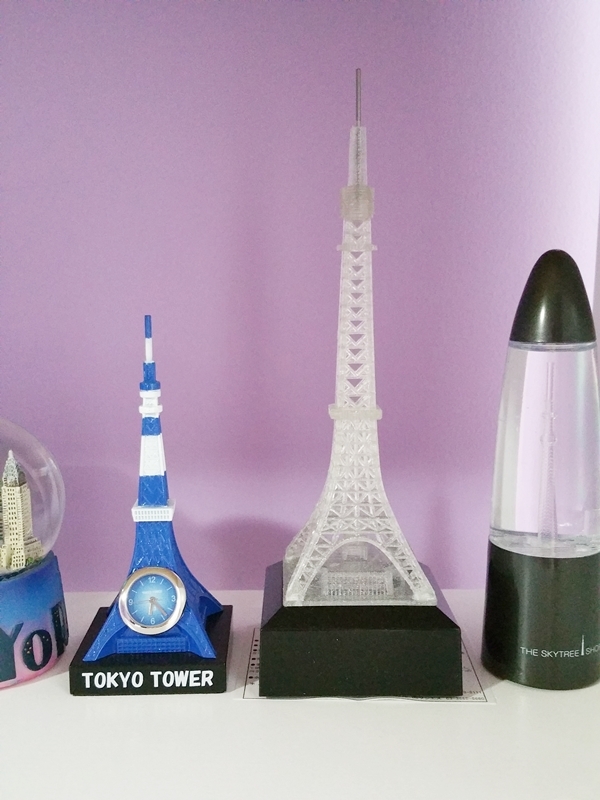 This was a special pink limited edition of the Tokyo Tower made out of diamonds. It was soooooo pretty and sparkly in person! 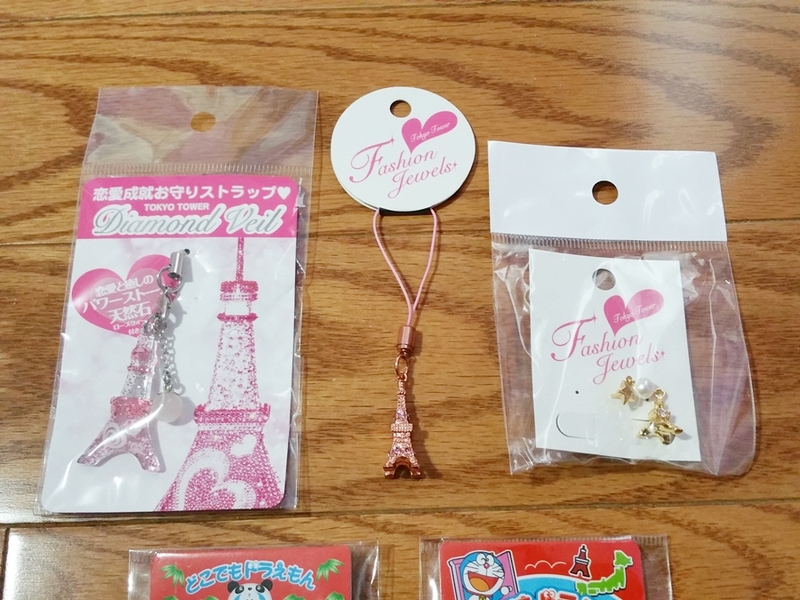 I would have loved to buy it home but it is too big so I bought the small pink key chain version of it instead. At the bottom of the tower, there was this lights illuminations walkway that you could walk through and it was sooo pretty! I recorded a video of myself walking through the whole thing. Watch my video below of my visit to the Tokyo Tower. 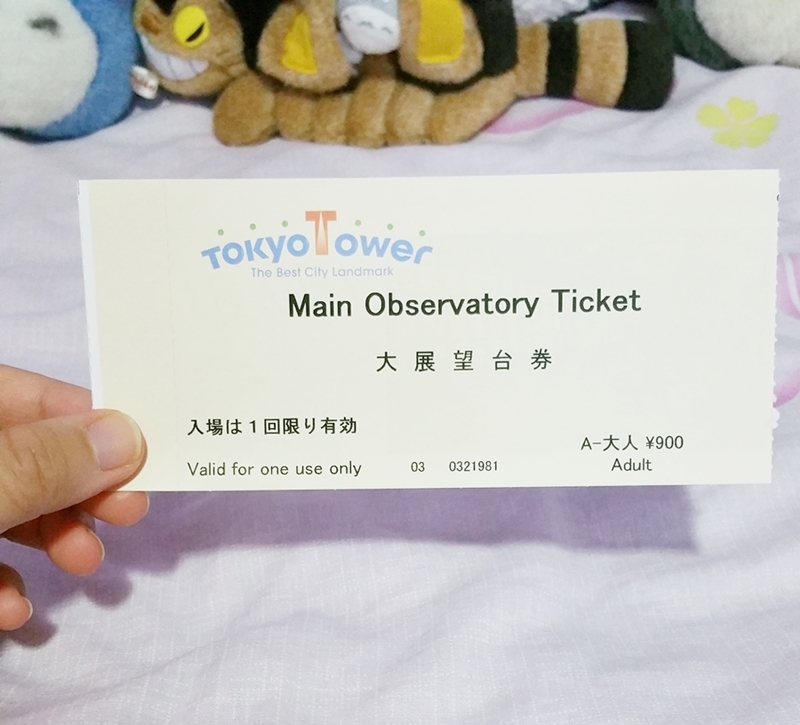 My Tokyo Tower tickets that I bought. There are two observatory decks that you can go up to, the main observatory and the special observatory up 250m high and I went to both! Admission fare is also really cheap. 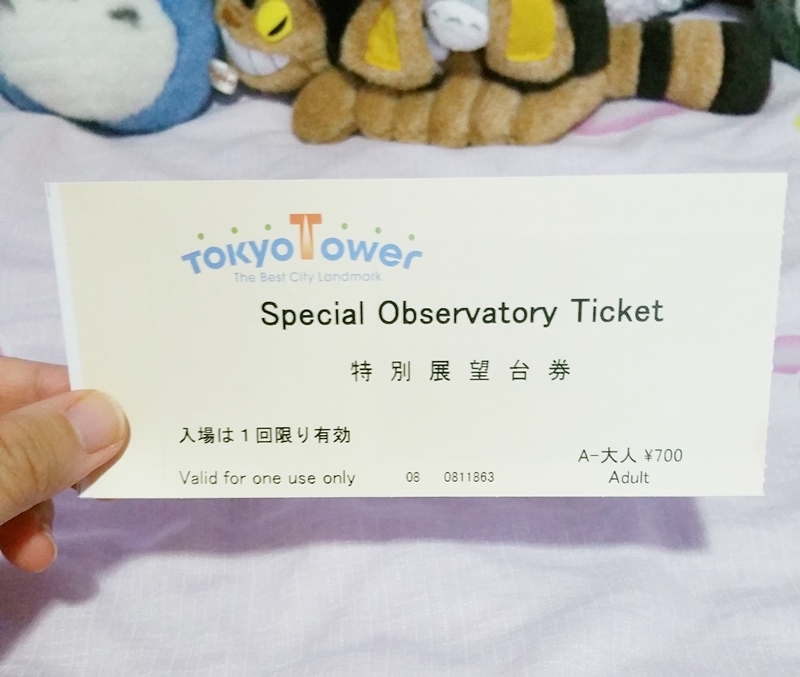 Only 900 yen (about $9 CAD) for the main observatory and you pay 700 yen ($7 CAD) more to go up the special observatory. 3. You will see the Tokyo Tower from afar when you walk out the station and just walk straight in the direction of the tower and you'll be there in about 15 minutes! 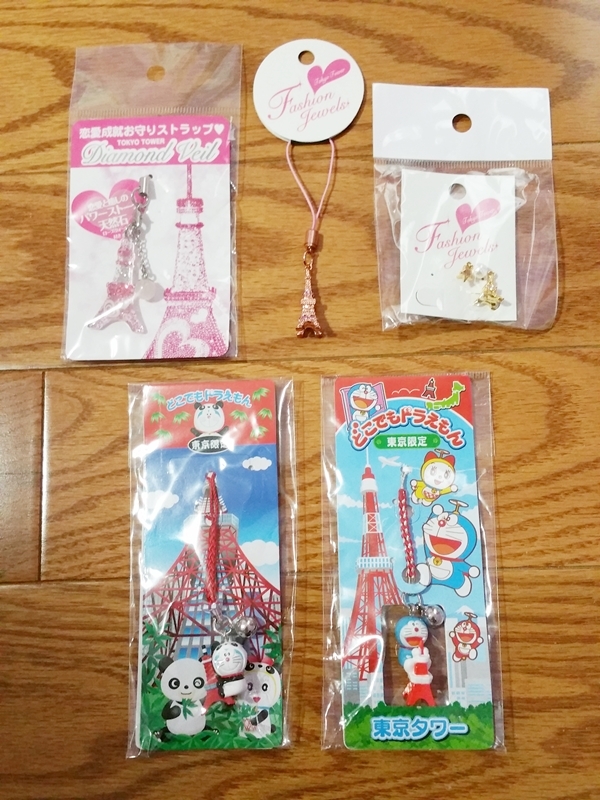 Merchandises that I bought from the Tokyo Tower. 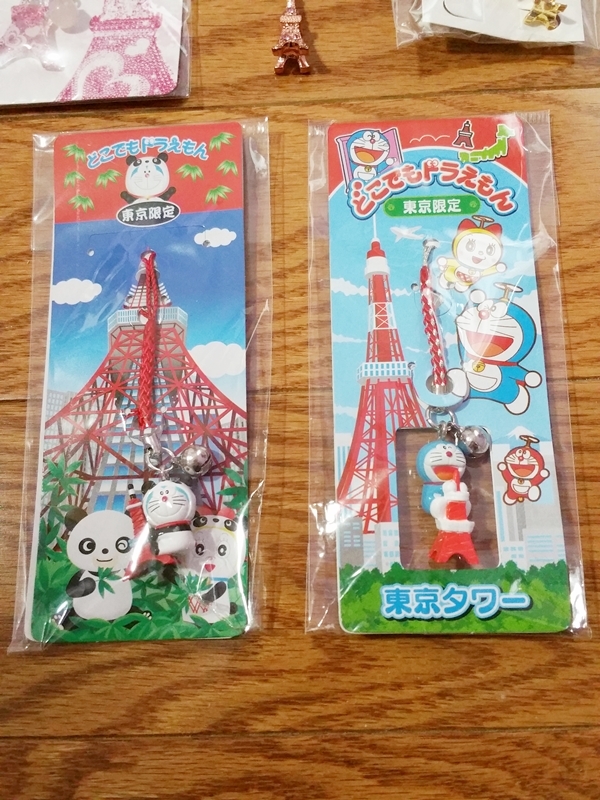 Limited Tokyo Tower edition of Doraemon key chain straps! 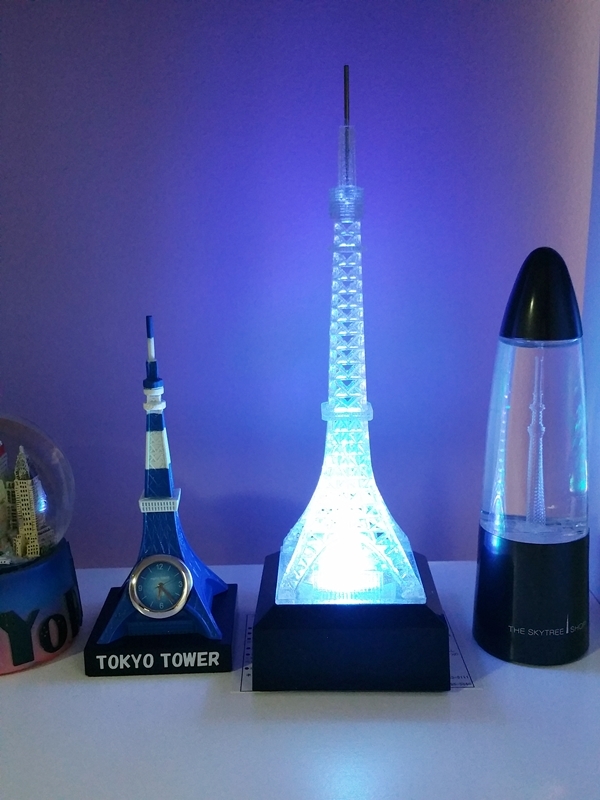 I also bought a Tokyo Tower clock (blue version) because the red version was sold out and this Tokyo Tower light stand that lights up and changes into different colours.